Blade Runner (1982) is the most famous, where it serves as J. F. Sebastian’s apartment where the replicant Pris catches up with him. That’s just to name a few of the movies shot there. There were also numerous made for TV movies and television programs set there. Last Thursday, Martine and I stopped in to visit the 1893 office building, which is still filled with business tenants. Because of that, tourists are limited to the ground floor atrium and the first landing on the stairs leading to the upper floors. 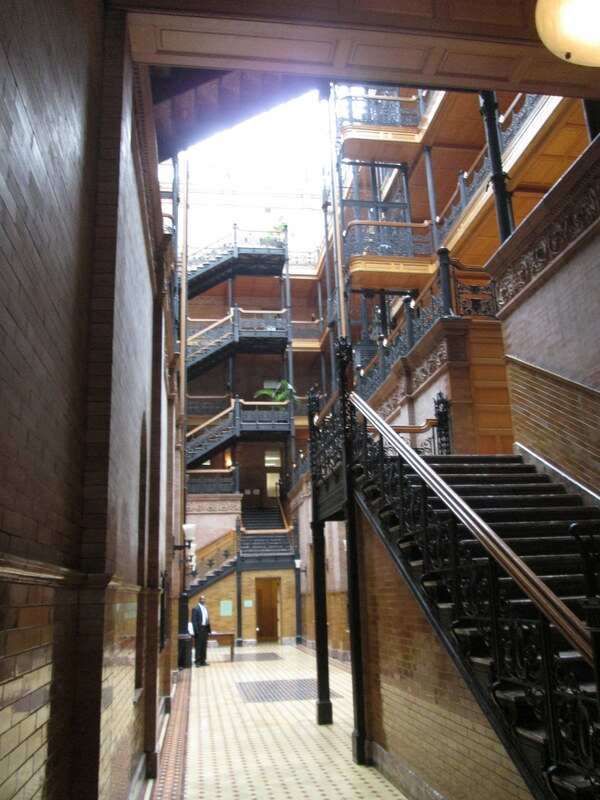 No matter: It took no time at all to see that the Bradbury is one of Los Angeles’s architectural treasures.